In 2018 BBC Four, BFI and cinemas across the UK are celebrating British animation. Grants will be awarded to fund, or partly fund, up to 12 emerging filmmakers working in animation, to realise their first broadcast project. Following on from the success of Listen to Britain 2017 which offered a unique platform to emerging documentary makers, BBC Four in partnership with BFI are now searching for a suite of short films to showcase the creativity and diversity of the next generation of animation talent working in the UK today. We will be giving up to 12 individuals or teams the opportunity to have their film selected by a panel of representatives from BBC, BFI and the world of British animation. If successful, you will be awarded a grant of between £2,000 and £10,000 towards the creation or completion of your original film, the opportunity to have your film screened at BFI Southbank and the chance for it to be broadcast on BBC Four in late 2018. Bold and original projects which aim to innovate, including voices and visions that might otherwise go unseen or unheard. Animations that promise a distinctive and unexpected tone of voice - whether that’s arresting, disruptive, spiky, warm or witty, we’re looking for a confident, fresh and contemporary approach. Your film might focus on a topical issue of national importance, be a novel take on a timeless theme or it might even take inspiration in style or subject from a work of animation from the past. We welcome a wide range of animation genres from documentary to fiction, pure fantasy to comedy and your film can run anywhere between 2 and 10 minutes. We’re keen to receive ideas for animations in a variety of styles and techniques and from all nations and regions of the UK. Watch a selection of great British animations which might inspire you. A UK resident aged 18 or over at 23:59 on 12 March 2018. Either a student, or a new/emerging filmmaker. You are unable to apply if you’ve received a key creative credit on a broadcast TV programme, a feature length film, or more than three professional short films. For further guidance on definitions and eligibility please look at our terms and conditions. View the online application form and see what supporting documents you need to supply. Please also read the our guidelines carefully. You will be asked to name the figure of the grant you are asking for (up to £10,000) and supply a budget on that basis with your supporting documents. Please download budget template. How will the commissions be awarded? We plan to shortlist between 15 and 20 applicants who will be invited for interview on either 24 or 25 April 2018. Successful applicants will be awarded grants and the selected films will need to be completed and delivered by Monday 8 October 2018. More details about the timetable for the process and production period are available in the guidelines and terms and conditions, which all applicants should read before applying. Please get in touch at animation2018@bfi.org.uk. The deadline has now passed for applications. Please note: Production and delivery will be managed by Wingspan Productions for BBC. 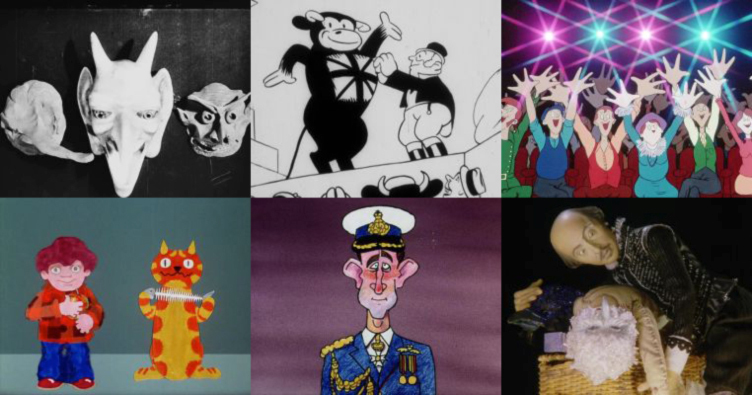 Jez Stewart, a Curator (Animation) at the BFI, tells us more about British animation.